iForex started in 1996, founded by several forex dealers and bankers. However, it waited until 2004 to launch its multilingual trading platform based online. It is among familiar names in the world of forex. It runs a dealing trading room for several financial products among which are forex, cfds and spot trading commodities. Regulated by PSZAF and CYSEC, iForex is further recognized for trading with pip-spreads, prices in real-time that are in a direct connection with the interbank arena. It also has a distinguished margin policy. iForex provides tight spreads to its clients and a directly connects with the interbank rates of market to offer live market pricing. This distinguishing asset enables traders margin being allocated to be utilized fully. The company also has a safeguards in form of negative balance protection so to discourage traders from overtrading. iForex offers to its clients 3 trading platforms. First is iForex Trading Platform, which is a client application for Windows. It requires a trader to download and install the application to trade. Main aspects of this platform are customized view, integrated charts for advanced analysis, a function of one full screen, and one-click dealing option. IForex’s trading platform for web trading is suitable to traders who don’t want to install the app. As it offer standard functions for a trader, its main feature is that it can be used from a standard browser. Third solution is that users can trade using their smart phones. iForex offers four trading account types including lately popular account with no interest, so called, Islamic account. Besides that there is standard account, protected, and premium account. Islamic account means that interest rates are avoided, and are not calculated, but other ways are there of calculating what normally is “interest”. There is an interesting aspect of “protected” account. Namely, it resembles to what can be found on other brokers’ websites as a demo account. Here, on iForex, it isn’t really a demo, but an account to which you place $100, and trade for 14 days without your money lost. That means that if you find it ok you can continue, and if you want, you can withdraw your $100. However, if you win anything and grow your account to more than $100, you can keep that. Trading with iForex, you’ll be able to utilize your margin facility. However, according to what broker says, it is not clear what the spread they charge is. To find out more, you can contact the iForex support team that you can reach vie email, fax, or phone. Some who tried to contact iForex are not as satisfied which might mean that the support rendered might be not as claimed to be. To sum it all up, mobile, desktop and browser approach, as well as protection against negative balance with available remote assistance are things that get thumbs up. Charging $100 for a trial and having a real demo account, reported poor customer service, and lack of MetaTrader4 platform are things to be improved. 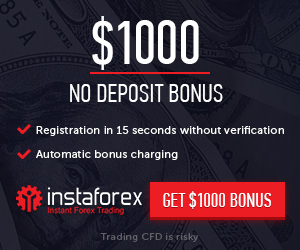 iFOREX doesn’t have a variety of accounts, and does not offer a demo account, but it has a mini account – standard – that comes with a deposit of minimum $100. There is also an account marked “VIP”. For that one, the transaction size must be at least $2,500, with leverage that reaches 400:1.
iForex won’t charge opening position commission, but between the rates of sell and buy you’ll find a spread, which, on the other hand, isn’t something you won’t see in other forex platforms. The way you can use margin policy can make a trader get the most of his/her account. At iForex, there are many products to trade. Most interesting are CFDs on commodities, equities and indices, which world’s top brands. It is possible to trade binary options, currencies, as well as gold, on most of products. However, have in mind that all trading is defined by regulatory approvals in certain jurisdictions. iForex offers its traders several trading tools of which most notable might be the one placing an order for limit. That one is used to stop orders when they get executed. There is also a tool that pre-determines a Take Profit or a Stop Loss. However, you don’t have to set a rate for stop loss at iForex. You can fully control the exposures of a trade and you can have new positions opened. You can prognose that upon upcoming profits based on open positions that are already there. You can view your open positions, as iForex provides you with live monitoring options where you can follow your status live. iForex is equipped with charts for direct trading and indicators for market through which a trader can have time frame multiple analysis. Experienced traders will find iForex very useful for performing more comprehensive analysis. Through the charts, a trader can follow movements of currency prices and have access to analysis of markets trends. In addition, tracking the history of the value of each currency pair is available, along with viewing the previous movements. Traders receive live updates through the option of signals for advanced trading. They get you newest trends of the market for 65 currency pairs, commodities, and indices. The trader can get those signals to mobile device. It is fully customizable and adjustable to fit your needs. Bonuses are not something to look for at iForex, as only way to get limited sources of bonus is naming 5 contacts that iForex contacts, and should some of them start trading, you get at least $35 which you cannot withdraw, but can trade. However, unlike bonuses, iForex offers a huge variety of ways to learn more. There are many sources to knowledge needed for better CFDs or forex trading. Several learning guides are available, suitable for traders of different experience levels. You can find video courses that can teach you the Forex trading basics, what to pay attention to, how to avoid mistakes, and how to make the best out of news. iForex also has a financial terms glossary, as well as e-book collection. But most importantly, there is person to person training. The learning packages come for, but you have to order them. Ordering is rather simple; a form online. For beginners, there is a comprehensive course with instructions that won’t leave anything uncovered. There are also advanced courses aimed to help professionals develop better strategies. Information source doesn’t stop there, as traders on forex can view analysis and website posted news reports on daily basis. Also, a blog filled with articles relevant to market is available. Even though traders would rather see a MetaTrader, there are three unique trading platforms here. Web-based platform and a mobile platform as something more typical, and a trading platform FXNet, which can run on windows. It needs to be downloaded and installed. Its main features are one-click, everything on on screen and detailed trade customization. Most importantly, there are many options to track market, as the platform offers different charts to follow, compare and what not. For those who might be trading sometimes away from their computers, they can use web-based platform. It can be run from any browser, and there is no need to download or install anything. It has close to a hundred instruments to trade, and it is covered with SSL technology. The trading platform on mobile devices can be used on Android or iOS-based smart phones and tablets. Windows phone don’t have this option yet. You can trade more than 90 commodities, currency pairs, indices, and stocks. On your mobile device you can track positions, and have full customization. However, once again noteworthy, there is no MT4 trading platform. Standard withdrawal and deposit options are at your disposal, which includes bank wire, credit cards, skrill, debit cards, Western Union and eWallets. There is an online form that you need to fill to withdraw your money. As for customer support, it is available via email non-stop apart from weekend. iForex can also be reached by phone, or a fax. While there are 20ish locations to be contacted by phone, fax can be sent to the company’s headquarters in. For weekends, there is a text version of frequently asked questions, where you can find answers to most questions you might have. It gets handy to get you through the weekend. In conclusion, it can be said for iFOREX that it is a broker that has a good educational material. However, there is no but one account, and lack of bonuses surely isn’t attracting those who like bonuses.Several forex dealers and bankers founded the company in 1996, and it had been waiting for 8 years before taking a more significant step with online trading. After that, iForex has become a known forex broker globally, with several thousand users with a significant trading volume.